Optimizing the transition between child and adolescent mental health services (CAMHS) and adult mental health services (AMHS) is a priority for healthcare systems. The purpose of this systematic review is to: (1) identify and compare models of care that may be used to facilitate the transition from CAMHS to AMHS; and (2) discuss trends and implications to inform future research and practice. Results identified three models of care which move beyond healthcare services and incorporate a broader range of services that better meet the dynamic needs of transition-aged youth. Joint working among providers, coupled with individualized approaches, is essential to facilitating continuity of care. This study was funded by the Government of Ontario through a Ministry of Health and Long-Term Care Health System Research Fund grant entitled ‘Harnessing Evidence and Values for Health System Excellence’. The views expressed in this manuscript are the views of the authors and should not be taken to represent the views of the Government of Ontario. The first author would like to acknowledge support from the Canadian Institutes of Health Research Doctoral Scholarship (2013–2016) and Postdoctoral Fellowship (2016–2019). The authors would like to acknowledge the support and feedback we have received from other Transitions study research team members: Patricia Wakefield, Ashleigh Miatello, and Christopher Longo. We also thank our Research Services Librarian Jeannie An. Most importantly, thank you to our Steering Committee members for their generosity in sharing their time and expertise. This study was funded the Government of Ontario through a Ministry of Health and Long-Term Care Health System Research Fund grant entitled ‘Harnessing Evidence and Values for Health System Excellence’. The funding source had no role in the design and conduct of the study; collection, management, analysis, and interpretation of the data; preparation, review, or approval of the manuscript. Clarke, H. B. (2005). Transition to independence process (TIP) system: A community-based model for improving the outcomes of youth and young adults with EBD. National Network on Youth Transition for Behavioural Health. Retrieved from http://tipstars.org/Portals/0/pdf/TIP Model Overview.pdf. Clarke, H. B. (2012). TIP model definition & guidelines for improving the progress & outcomes with youth & young adults, (Vols. 1–12). Retrieved from http://www.evidencebasedassociates.com/news_insights/dc-summit-12-presentations/Clark.pdf. Orygen Youth Health. (2010). Retrieved from http://oyh.org.au. Paul, M., Street, C., Wheeler, N., & Singh, S. P. (2014). 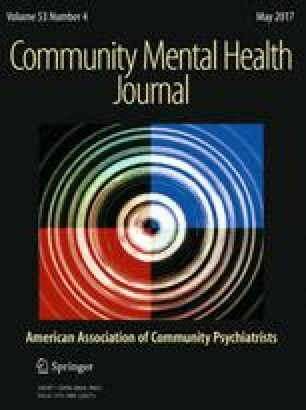 Transition to adult services for young people with mental health needs: A systematic review. Clinical Child Psychology and Psychiatry, 1–22. doi: 10.1177/1359104514526603. (published online ahead of print April 7, 2014).